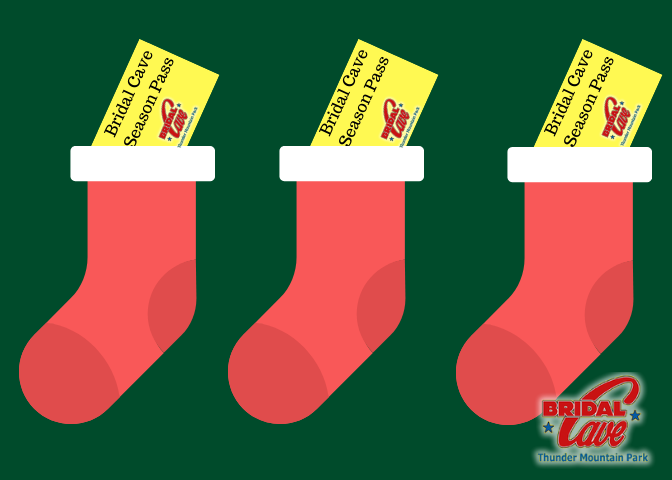 Get your Bridal Cave Season Passes for a unique Christmas Gift or stocking stuffer. These season passes purchased anytime in December will be valid through December 31st, 2019. Season Passes are good for unlimited visits to Bridal Cave and include the popular Fall Festival in October. Season Passes are only $5 more than a onetime general admission ticket (P.S. ticket prices go up January 1st, 2019 so act quickly). 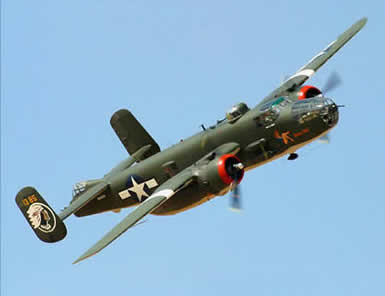 Season Passes may be purchased at the Visitor Center or by phone at 573-346-2676. Give a truly unique gift this holiday season. A new trend in holiday gift giving is giving the gift of a memorable experience rather than material items. 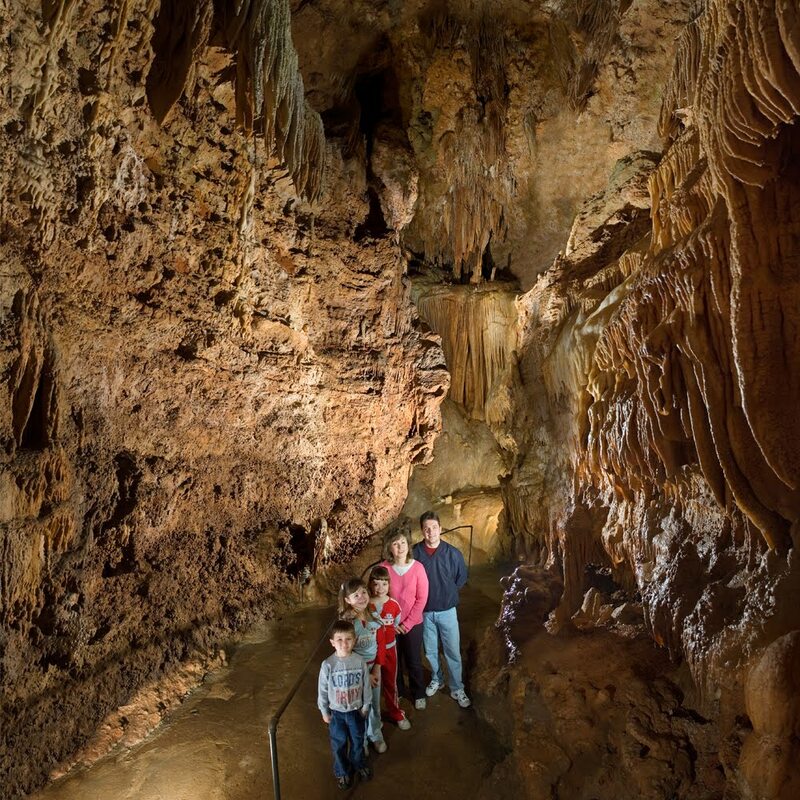 Sure, they won't get to use your gift as soon as they open it but when they take a trip through one of Missouri's best show cave adorned with incredible mineral deposits. giant columns, delicate soda straws, and massive draperies, they will thank you for such an incredible gift! 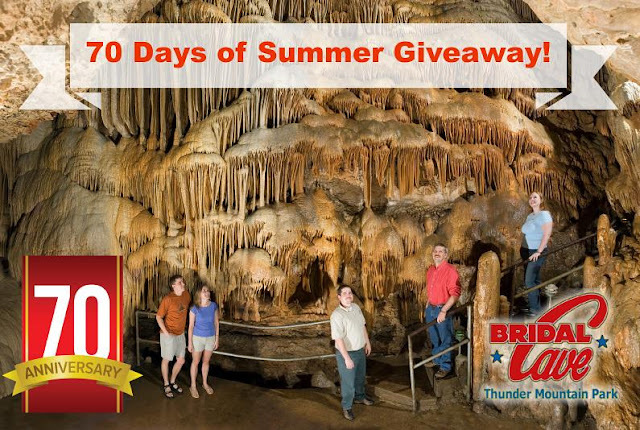 The best part is becasue it's a season pass, they get to visit our cave at the Lake of the Ozarks as many times as they want from through December 31st, 2019! You may be thinking, "Well, once you visit once there is no point in going back, I've already seen everything there is to see!" This is so not true! We can almost guarantee that every time you go through Bridal Cave you will see something different every time! Plus, depending on the guide that takes you through and the questions asked of them, you'll even get to hear new stories and facts on different trips. Access to out Thunder Mountain Fall Festival! Another HUGE perk of a season pass is it gets you into our popular Fall Festival in October! 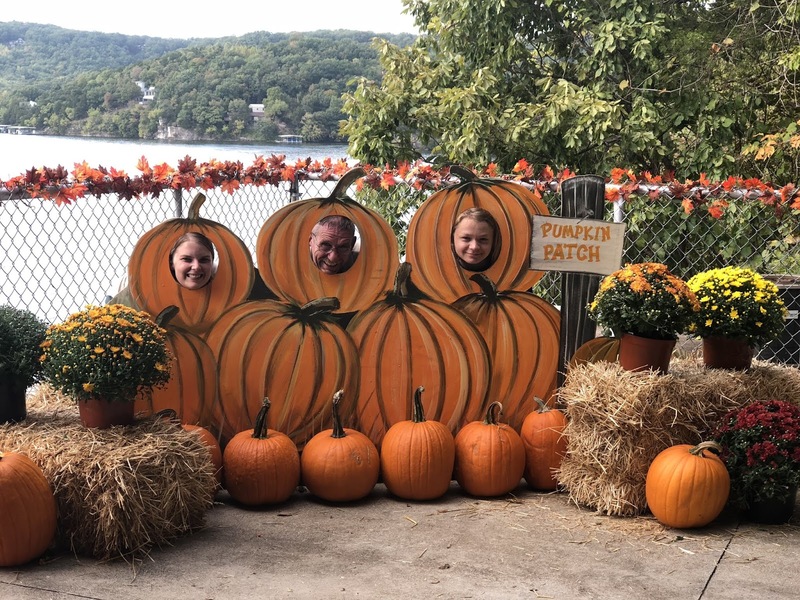 Every year we change our Fall Festival to make it bigger and better but a few things to expect if you've never attended are thousands of pumpkins, hundreds of mums, and other fall decor throughout the entire park! 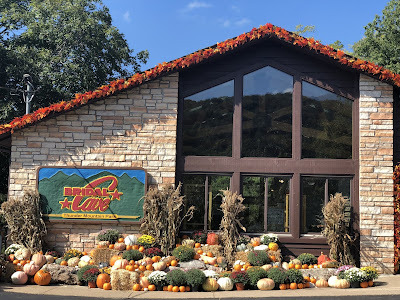 Thunder Mountain park is gorgeous all year but the park is especially beautiful during our Fall Festival. We will also have various pumpkin patch type activities like face painting, a corn crib, tix tack toe, firepits, and MUCH MORE! The Fall Festival alone makes a season pass a great Christmas gift! Our season passes are good until December 31st. 2019 if purchased in December and they are only $5 more than the price of one trip through Bridal Cave. If you are here taking the tour, we are happy to upgrade your ticket afterward. If you'll be purchasing season passes for loved ones on your holiday shopping list, they are just $23 for adult passes and $14 for children ages 5-12. 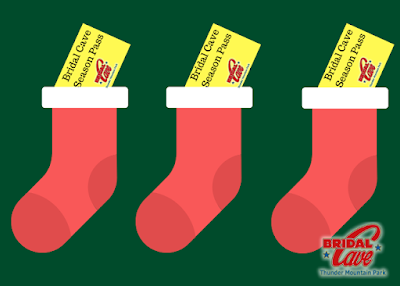 A season pass is a perfect gift that keeps giving all year long! If you still feel like you need to gift something along with the season pass, our gift shop is full of unique items to put along with your season pass. Pay us a visit to purchase your season pass or if you'd rather, give us a call at 573-552-2676! What People are Saying About Bridal Cave!